Infant mortality is the death of an infant before his or her first birthday. The infant mortality rate is the number of infant deaths for every 1,000 live births. Each year in Franklin County, approximately 150 babies die before their first birthday. Infant mortality is the death of a live-born infant before their first birthday. The infant mortality rate is the number of infant deaths for every 1,000 live births. Why is Infant Mortality Important? Many factors can cause infant mortality. Race, age and health of the mother are all major factors but others also play a role in infant mortality. Since 2013, pre-term birth/prematurity has remained the leading cause of newborn illness and mortality and suffocation has been the leading cause of injury-related death for babies before their first birthday. In 2016, there was 1.9 percent increase in infant deaths compared to 2015. 1,024 Ohio infants died before their first birthday in 2016 compared to 1,005 in 2015. The 2016 data indicates a slight increase in the overall infant mortality rate from 7.2 infant deaths per 1,000 live births in 2015 to 7.4 in 2016. 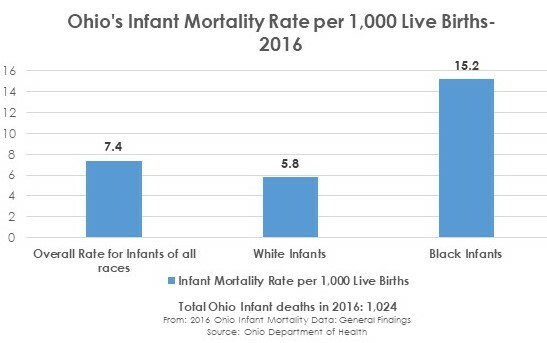 Mortality rates for both black and white infants in Ohio have also increased from 2015 to 2016. Although the overall infant mortality rate has increased, the 2016 data revealed that sleep-related deaths have trended downward. In Franklin County, infant mortality is primarily driven by premature births, low birth weight and unsafe sleep conditions. Talking with your health care provider about your options for delaying or avoiding pregnancy. Are you in need of a safe sleep surface for your baby? Contact our office at (614) 525-5960 or email us. What Is Being Done in Ohio to Prevent Infant Mortality? Partnering with county and city organizations (e.g. community centers, churches/faith-based organizations and foodbanks) to ensure women have access to services they may need. 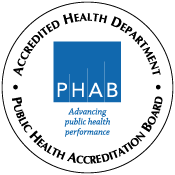 For more information on what’s being done in Ohio to prevent infant mortality, click here.